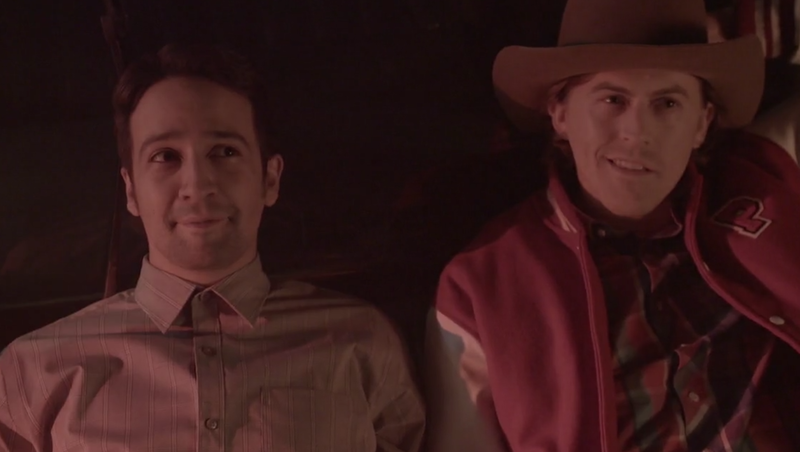 Before you start thinking the sketch is just about a man’s not-so-platonic crush on his BFF Preston or that it’s all about making fun of the Midwest, know that the sketch is more than that — much more. Aside from a few well-chosen and well-placed English words, the sketch “Diego Calls His Mom” was performed entirely in Spanish, without subtitles. At the risk of alienating American viewers who don’t speak Spanish (and aren’t used to being left out of the loop on American television), Saturday Night Live aired a completely Spanish-speaking sketch. This isn’t quite the first time SNL has done this. In 2009, Rosario Dawson appeared in a sketch called “La Policia Mexicana,” which was performed in elementary Spanish, and in 1990, Jimmy Smits featured a bit of Spanish in his monologue and appeared in “NBC News’ Spanish Pronunciation,” a skit making fun of how Americans overpronounce Spanish words. “Diego Calls His Mom” might not be the first sketch on SNL performed in Spanish, but it just might be the first in which the Spanish language itself wasn’t the joke. “Diego Calls His Mom” isn’t important just because of its use of a foreign language — though that is significant — it’s also important because it stood out as one of the most heartfelt and honest sketches of the night. Many viewers at home found that the sketch touched on the immigrant experience perfectly, and they tweeted as much throughout the weekend. The sketch also managed to be effective politically without directly mentioning Donald Trump. “Diego Calls His Mom,” written by new writer Julio Torres, counters Trump’s narrative that immigrants are criminals and rapists. It subtly takes a jab at racism against immigrants without calling out anyone, ensuring a mostly drama-free sketch. “These immigrants are coming to steal our jobs, but not like you, though — you’re different,” Preston’s white father tells Diego at one point in the sketch. It’s a funny moment that, coupled with the rest of the piece, reminded viewers just how ridiculous that narrative is. It’s a little sad to think that we, as a nation, needed an SNL skit to help humanize immigrants to viewers, but maybe some of us did, and I’m glad Saturday Night Live was able to rise to the challenge. What did you think of the skit? Let us know in the comments below.